Imagine the look of joy on their faces when they get one of these beautiful glass flowers as a lasting reminder of your love and devotion. 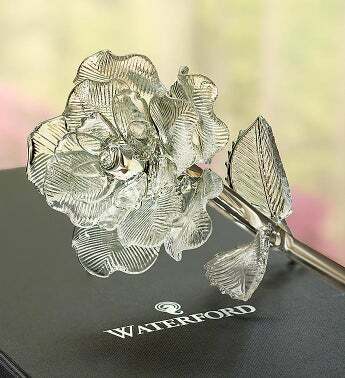 The rose, lily and tulip are each etched in stunning detail by the skilled craftsmen at Waterford to create a keepsake gift of timeless elegance. This entry was posted on February 12, 2014, in Uncategorized, Waterford Glass Flower and tagged beautiful glass flowers, Waterford Glass Flowers, Waterford Glass rose. 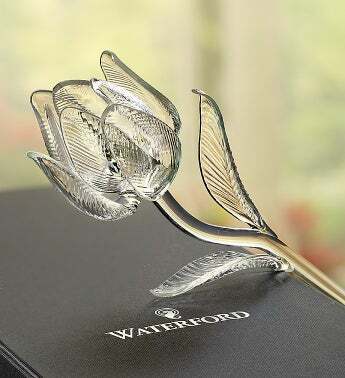 This entry was posted on February 12, 2014, in Uncategorized, Waterford Glass Flower and tagged keepsake gift, timeless elegance, Waterford Glass lily, Waterford Glass rose, Waterford Glass Tulip.